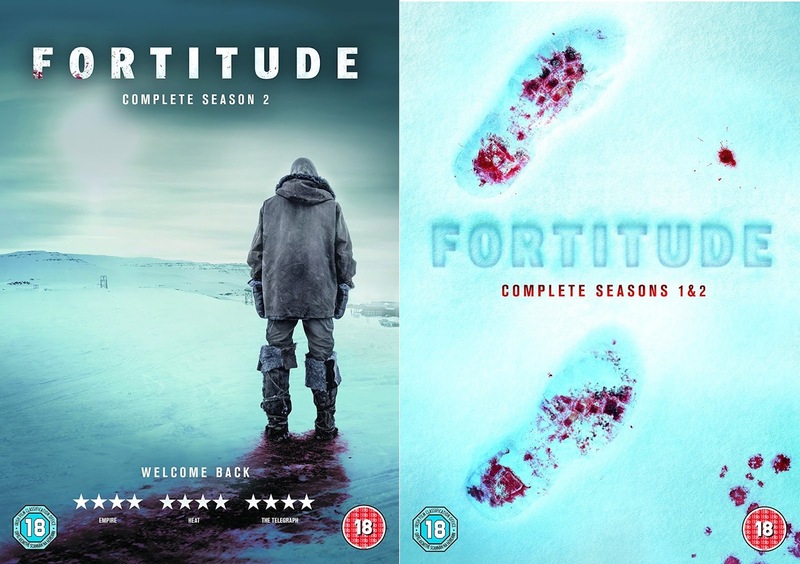 Season two begins several weeks after the disturbing events of season one as the strange goings-on continue in the town of Fortitude after a body is discovered. The wasp contamination has been eliminated, but the effects are still fresh and life isn’t the same for the once close knit community. Located in the Arctic Circle, Fortitude is a remote, but perfect little town – or at least that’s what it seemed. The series opened with sickly Henry (Michael Gambon) as he comes across a polar bear attacking a man. He aims his rifle at the bear but accidently kills the man instead. When friendly and sympathetic Sheriff Dan (Richard Dormer) shows up, he lets Henry go. Two children make a discovery unlike any other – a mammoth tooth. However later, one of the children, Liam (Darwin Brokenbro), brutally murders the local professor Charlie (Christopher Eccleston). Anyone who touches the tooth becomes infected by wasps which cause strange and violent behaviour. With two murders occurring in what used to be a peaceful town, everyone is on edge. The lives of the people in Fortitude are more interconnected than originally believed as the murder mystery continues. Liam’s parents are scrutinised, bringing to light his father Frank’s (Nicholas Pinnock) affair with hotel manager Elena (Verónica Echegui). 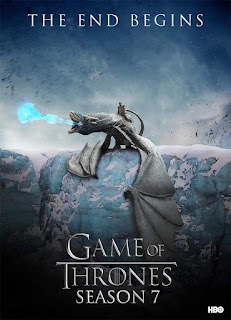 To make matters more complicated, it is revealed that Eric (Bjorn Hlynur Harlödsson), Governor Odegard’s (Sofie Gråbøl) husband, has been having an affair with Trish (Chipo Chung), Professor Charlie’s wife, and that Sherriff Dan, who played a blind eye to Henry, has feelings for Elena. DCI investigator Morton (Stanley Tucci) comes to town with the goal of solving the murder which was quickly blamed on a polar bear. He however suspects something more sinister. It is revealed Dan is Henry’s son and he attempted to kill the man attacked by the polar bear to protect Elena. Henry shoots DCI Morton, making sure no-one finds out the truth and then turns the gun on himself. Carrie (Elizabeth Dormer-Phillips), who was with Liam when the tooth was discovered, is surprisingly unaffected by the wasps. In an intense conclusion to the first season, we find a group of people on a quest to find the cause of these behaviours. Natalie (Sienna Guillory) is amongst them. She and team member Vincent (Luke Treadaway) discover that the wasps are the cause and go to destroy them, but not without one last causality – Elena is infected. As she attempts to kill young Carrie, Sheriff Dan has no choice but to shoot her. As season two begins, Dan is missing and is now presumed dead despite Eric’s desperate attempts to find him. Plus, Governor Odegard is desperately fighting to save her job and a town in disrepute. Out in the stunning wilderness, nature is growing ever more dangerous and the town of Fortitude is faced with unpredictable new threats. The sky has turned red with a Blood Aurora, and a mysterious new stranger arrives at the isolated town with an unsettling agenda. When another murder brings terror to the already fragile community, we soon realise that in Fortitude nothing, and no-one, is ever what we expect. First full trailer for Game of Thrones Season 7 is here. Shades of Blue 2x05 "Sweet Caroline" Season 2 Episode 5 Promo - The mafia seeks revenge on Harlee (Jennifer Lopez) by framing her for murder. As Harlee works against the clock - and her own crew - to cover her tracks, Wozniak (Ray Liotta) fights to keep his cop-family together when evidence of an old crime puts pressure on the already splintering team. Stahl (Warren Kole) cozies up to Cristina (Sarah Jeffery), getting one step closer to the truth about Miguel. Also starring Drea de Matteo, Dayo Okeniyi, Vincent Laresca, Hampton Fluker and Gino Anthony Pesi. Guest starring Anna Gunn, Dov Davidoff, Margaret Colin and Michael Laurence. The Catch 2x03 "The Dining Hall" Season 2 Episode 3 Promo - Alice discovers some very hard truths about her brother Tommy and Val is forced to dig into her past in order to help with his case. Meanwhile, relationships are tested as Margot and the AVI team have to navigate their current realities, and Ben and Rhys’ latest con may turn out to be a little too risky, on “The Catch,” airing Thursday, March 23rd on ABC. Designated Survivor 1x14 "Commander-in-Chief" Season 1 Episode 14 Promo - Turmoil in an African country forces President Kirkman to rely on an unlikely ally for help, as Hannah’s investigation into the Capitol bombing takes an unexpected turn. Meanwhile, Emily settles into her new role as chief of staff while Aaron has to make a difficult choice, on ABC’s “Designated Survivor,” Wednesday, March 29th on ABC. The final ten episodes of Pretty Little Liars begin April 18th on Freeform. Based on author David Grann's nonfiction bestseller, THE LOST CITY OF Z tells the incredible true story of British explorer Percy Fawcett, who journeys into the Amazon at the dawn of the 20th century and discovers evidence of a previously unknown, advanced civilization that may have once inhabited the region. Despite being ridiculed by the scientific establishment who regard indigenous populations as savages, the determined Fawcett supported by his devoted wife (Sienna Miller), son (Tom Holland) and aide de camp (Robert Pattinson) returns time and again to his beloved jungle in an attempt to prove his case, culminating in his mysterious disappearance in 1925. 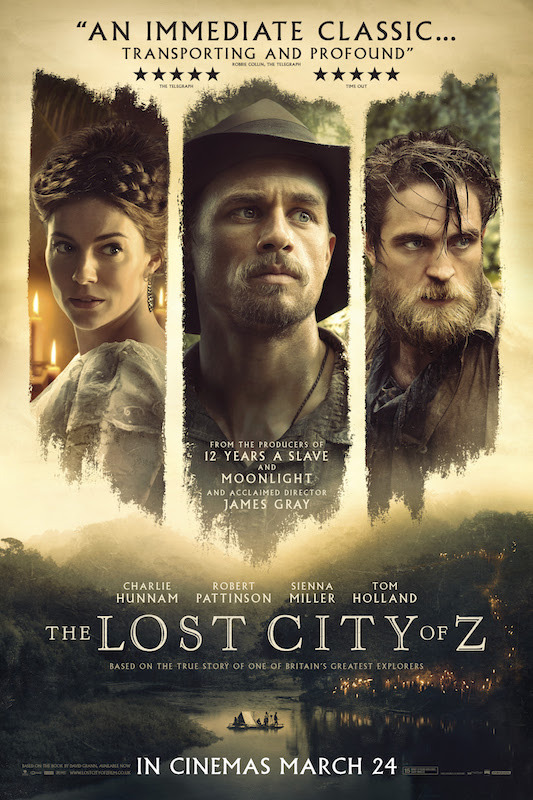 An epically-scaled tale of courage and obsession told in Grays classic filmmaking style, THE LOST CITY OF Z is a stirring tribute to the exploratory spirit and those individuals driven to achieve greatness at any cost. Taken 1x04 "Mattie G" Season 1 Episode 4 Promo - Riley's (Jennifer Marsala) insistence to uncover the truth behind a fatal drug given to war vets results in her asset's child being taken. Bryan (Clive Standen) defies orders to rescue the girl and uncover the truth. When a break-in at Asha's (Brooklyn Sudano) apartment leaves her shaken, a new neighbor is there to calm her nerves. Also starring Jennifer Beals (Christina Hart), Gaius Charles (John), Michael Irby (Scott), James Landry Hébert (Rem) and Simu Liu (Faaron). Guest starring Lanette Ware (Secretary Teresa Redcliff), Gord Rand (Dan Glynn), Peyton Kennedy (Mattie Glynn), Layla Alizada (Elena), Ivan Wanis Ruiz (Juan Pablo) and Laurie Murdoch (Seamus O'Rourke). Supernatural 12x16 "Ladies Drink Free" Season 12 Episode 16 Promo - Sam (Jared Padalecki) and Dean (Jensen Ackles) let Mick Davies (guest star Adam Fergus) tag along on a case as they search for a werewolf. 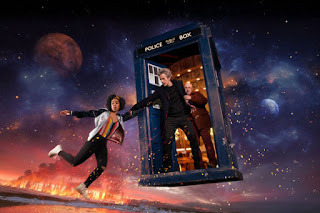 The three men run into Claire Novak (guest star Kathryn Love Newton), also working the hunt. However, the reunion is short lived after Claire is bitten and the brothers race to find a way to help her before she turns. Amyn Kaderali directed the episode written by Meredith Glynn (#1216). Original airdate 3/30/2017. The cast of FOX's hit series Lethal Weapon thanks you for watching the first season. Stay tuned for Lethal Weapon Season 2! Designated Survivor 1x13 "Backfire" Season 1 Episode 13 Promo - An investigative journalist shocks the White House when he reveals classified information during a press briefing and leaves Seth struggling to contain the damage from the leaked story. Meanwhile, Hannah unearths a key connection between MacLeish and the conspiracy, on ABC’s “Designated Survivor,” Wednesday, March 22nd on ABC. The Blacklist: Redemption 1x04 "Operation Davenport" Season 1 Episode 4 Promo - When ruthless terrorists escape from a secret black site prison in Manhattan, Tom (Ryan Eggold) and the Halycon team must lock down the city and find them before disaster strikes. Meanwhile, Scottie (Famke Janssen) uncovers clues about her late husband (Terry O'Quinn) that could expose Tom's identity. The 100 4x06 "We Will Rise" Season 4 Episode 6 Sneak Peek - CLARKE AND ROAN WORK TOGETHER — Clarke (Eliza Taylor) and Roan (Zach McGowan) must work together in hostile territory in order to deliver an invaluable asset to Abby (Paige Turco) and her team. Bob Morley, Marie Avgeropoulos, Devon Bostick, Lindsey Morgan, Christopher Larkin, Richard Harmon, Isaiah Washington and Henry Ian Cusick also star. Dean White directed the episode written by Charmaine DeGrate (#406). Original airdate 3/15/2017. Shadowhunters 2x11 Season 2 Episode 11 Promo - Shadowhunters returns with all-new episodes starting Monday June 5th on Freeform! Supergirl 2x16 "Star-Crossed" Season 2 Episode 16 Extended Promo - TERI HATCHER (“DESPERATE HOUSEWIVES,” “LOIS & CLARK: THE NEW ADVENTURES OF SUPERMAN”) AND KEVIN SORBO (“HERCULES”) GUEST STAR; DARREN CRISS (“GLEE”) MAKES HIS DEBUT AS THE MUSIC MEISTER – A new villain (guest star Teri Hatcher) comes to National City, putting Supergirl (Melissa Benoist) on high alert. Meanwhile, Winn’s (Jeremy Jordan) girlfriend, Lyra (guest star Tamzin Merchant), gets Winn in trouble with the law. Maggie (guest star Floriana Lima) attempts to help Winn but old loyalties get in the way. The Music Meister (Darren Criss) attacks Supergirl. John Medlen directed the episode written by Katie Rose Rogers & Jess Kardos (#216). Original airdate 3/20/2017. Shades of Blue 2x02 "Eye of the Hurricane" Season 2 Episode 2 Promo - Following Wozniak's (Ray Liotta) discovery that Stahl's (Warren Kole) target is his close friend and Mayoral Candidate, Julia Ayers (guest star Anna Gunn), Wozniak launches an all-out war with Stahl. Meanwhile, Harlee (Jennifer Lopez) dives into an investigation that takes an unexpected turn into her own past - and ultimately throws her in the cross-hairs of Wozniak and the FBI. At the precinct, a new, unwelcome presence threatens to uncover the crew's deepest secrets. Also starring Drea de Matteo, Dayo Okeniyi, Vincent Laresca, Hampton Fluker, Sarah Jeffery and Gino Anthony Pesi. Guest starring Margaret Colin and Dov Davidoff. Grimm 6x11 "Where the Wild Things Were" Season 6 Episode 11 Promo - Eve (Bitsie Tulloch) goes on a mission to take on the mysterious force she saw in the mirror and finds herself in unfamiliar territory. When the gang discovers what she has done, Nick (David Giuntoli) finds a way to join her. Meanwhile, an uneasy alliance is established when Capt. Renard (Sasha Roiz) is brought in to help and discovers this all may be connected to the person he cares for the most, Diana (guest star Hannah R. Loyd). Russell Hornsby, Silas Weir Mitchell, Reggie Lee, Bree Turner and Claire Coffee also star. Sleepy Hollow 4x11 "The Way of the Gun" Season 4 Episode 11 Promo - When a mysterious woman finds her way into the vault, the team struggles to understand who she is and with whom her allegiances lie. Meanwhile, Alex must come to terms with her complicated feelings when she finds herself in a tight spot. Can Team Witness handle what might be revealed? Find out in the all-new “The Way of the Gun” episode of SLEEPY HOLLOW airing Friday, March 17th on FOX. Time After Time 1x03 "Out of Time" Season 1 Episode 3 Promo - H.G. 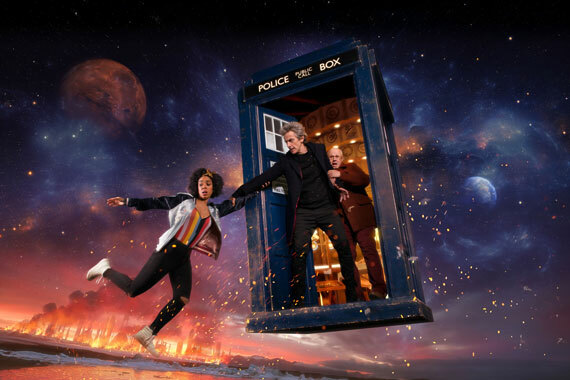 and Jane rush to repair the damaged time machine before Dr. John Stevenson – now better known as “The Key Killer” – strikes again. Meanwhile, Vanessa must decide whether or not to confide in Griffin, on ABC’s “Time After Time,” Sunday, March 12th on ABC. Pearson Specter Litt is too legit to quit. Suits Season 7 premieres this Summer on USA Network.